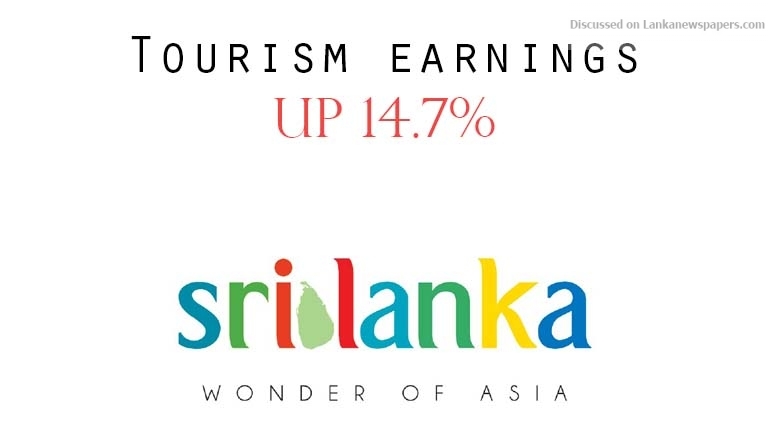 Sri Lanka earned nearly US$ 1.8 billion from tourism during the first five months of this year, up 14.7 per cent compared to US$ 1.65 billion a year ago, reflecting the same growth as tourist arrivals to the country during the period. According to the Central Bank, in May this year the country earned nearly US$ 240 million from the sector, up 6.2 per cent compared to US$ 226 million during the same month last year. Sri Lanka hopes to welcome 2.5 million tourists this year, the same target the Government failed to achieve during the last two years. Sri Lanka, during the first five months of this year, welcomed 1,017,819 visitors to the country, up 14.7 per cent compared to 887,093 a year ago. Arrivals in May this year surged 12.6 per cent to 129,466, up from 121,891 in 2017. The industry and the Minister of Tourism have been blaming the Sri Lanka Tourism Promotion Bureau (SLTPB) for the failure to launch the proposed Tourism Promotional Campaign. The SLTPB, in a press release, stated that the CNN advertising campaign that was initiated to cover up the massive delay in launching the 3-month ‘Digital Marketing Campaign’, along with the two-year ‘Comprehensive Destination Promotion Programme’, were underway and would showcase the country to its audience during 1,500 minutes during the next three months. However, despite preparations since mid-last year, the SLTPB is yet to obtain Cabinet approval for the much delayed 3-month ‘Digital Marketing Campaign’ and the two-year ‘Comprehensive Destination Promotion Programme’.